Edward Rabinovich, DDS-General, Cosmetic and Implant Dentistry, La Mesa. Welcome to our practice! We serve the entire East County and surrounding regions. 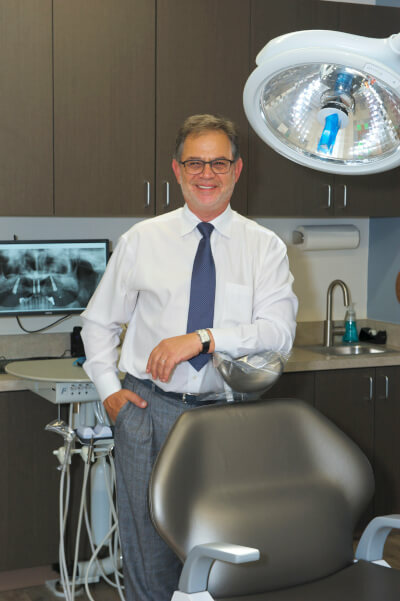 Ever since we started this practice over 25 years ago, our goal has been to provide our patients with comprehensive dental care they deserve in a friendly and caring atmosphere, educating and encouraging them toward a state of optimal oral health. Our staff (many of whom have been here from the beginning), always strives to deliver exceptional care to our patients. Whether it’s a regular dental maintenance, dental implant placement or emergency dental assistance, we have years of experience in making your visit as easy and comfortable as possible. Our business department will be glad to help you work out all insurance questions and to create a financial plan which will let you get the care you need. We are committed to continuing our education and sharing our knowledge with each other and our patients, so we make sure to keep up with the latest advances in the dental field. You need never be concerned with being treated by out-of-date methods here—at Dr. Rabinovich’s office everyone can count on the very latest technologies being used to provide a high level of care and treatment. Not all doctors specialize in cosmetic dentistry, you might think, and you’d be absolutely right—but here we are happy to offer cosmetic solutions to improve your smile. What’s more, Dr. Rabinovich considers cosmetic dentistry an art in its own right, and he has had years to master it. Dental implants, for example, are one of the most common procedures we perform here, and it’s always a joy to see patients walk out smiling happily, sometimes for the first time in years! Implants have completely changed the art of dentistry over the last 25 years, and we’ve been watching and learning every day as the techniques and materials were developed and refined. Today, instead of the difficult and costly bridges which restored missing teeth at the price of damaging surrounding healthy ones, implants can provide a permanent and secure solution for restoring one or more lost teeth. Healthy teeth are no minor matter—our patients tell us that their implants have not only restored their smiles and ability to chew painlessly, but have altered their appearances and their very lives by giving them a new confidence and freedom from worry. Your new teeth will look and feel absolutely real, and you’ll be able to say good-bye to toothaches and cavities forever. Every person needs an individual approach, naturally, and we make sure to approach each patient’s case individually, by working with them as a team to find the best possible solution to every particular problem. We work with you and for you to make sure you leave our La Mesa office with a beautiful and healthy smile that will last you a lifetime!